Roland U.S. staff members Light It Up Blue for autism awareness. On April 2, 2015, Autism Speaks celebrated its eighth annual Light It Up Blue campaign as part of World Autism Awareness Day (WAAD). 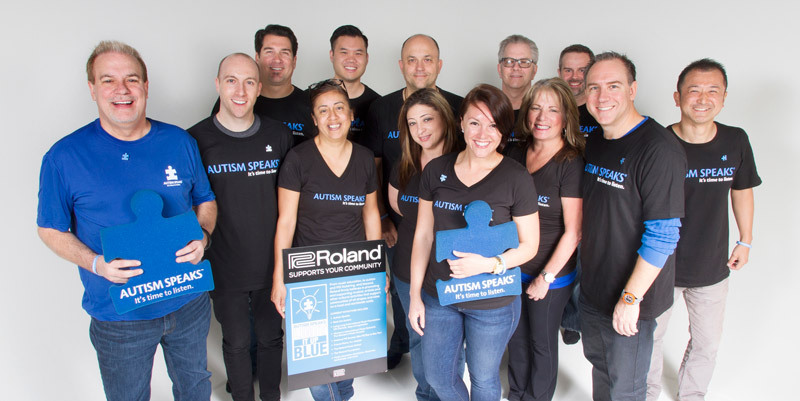 Roland Corporation U.S. was proud to join thousands of iconic landmarks, religious institutions, businesses, and communities in more than 130 countries in an ongoing initiative to raise the global awareness of autism. Autism currently affects 1 in 68 children in the United States and millions more worldwide.